Latest additions to my Veer stock account – Saving for every eventuality! Jane has come back from holiday and created this bunting within a day with our daughter Rachel to adorn her new Uni digs. It will certainly brighten the place and make it more homely. Yes I know it’s been a long time. I have made two quilts since I started this blog but was so busy doing them that I didn’t write on my blog. I have now decided to put all future textile work on this blog. 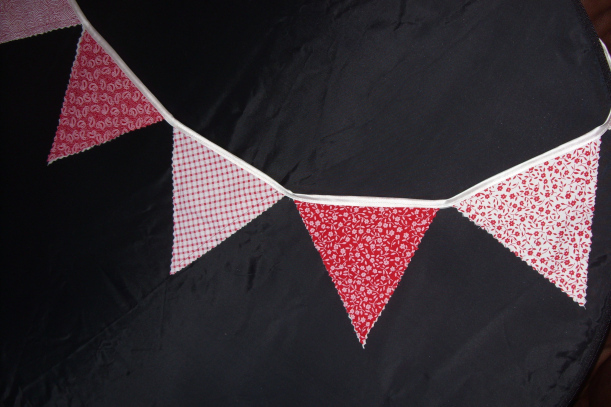 Yesterday I returned from France and today I have made yards and yards of bunting for my daughters new room at university.